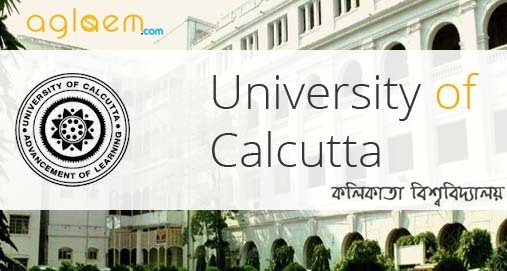 Calcutta University B.Ed Admission 2018 – University of Calcutta, Department of Education offers admission to B.Ed Courses for the academic year 2018-20. 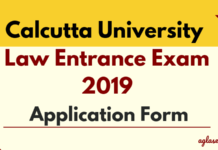 Candidates can check all the details of Calcutta University B.Ed Admission 2018 like application form, eligibility criteria, selection procedure etc. from this page given below. Latest: A notice regarding 2nd counselling for admission to Calcutta University B.Ed Admission 2018 has released. Scroll down to check the same. Admission to the Bachelor of Education (B.Ed.) course will follow the norms set by NCTE, the State Government and University of Calcutta. Selection will be made on the basis of merit. The process of Calcutta University B.Ed Admission 2018 shall take place as per the following schedule. Details of 2nd counseling for admission to 2 year B.Ed Course is as follow. Application to be submitted through online only. No Hardcopy of Application Form will be issued. For online application please log in to www.caluniv-ucsta.net or click on “Application Form” link given above. Marks / Grade obtained in major Examinations from 10th Standard onwards. Income of family per month. One printed copy of the same photo required to be pasted on the application form. An Email-Id cannot be used more than once. A different Email should be taken, if required. Candidates with at least 50% marks either in the Bachelor’s Degree and/or in the Master’s Degree in Sciences / Humanities/ Social Science, Bachelor’s in Engineering or Technology with specialization in Science and Mathematics with 55% marks or any other qualification equivalent thereto are eligible for admission to the programme. The requirement of 50% (fifty) marks shall not apply to persons appointed as teachers prior to the commencement of the NCTE, (Regulations, Norms & Procedure) Second Amendment Regulations, 2010 as laid down at para 8(i) of the aforesaid Gazette. The following Method Subjects ( total no. 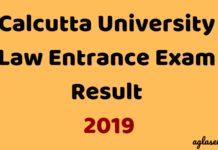 of the seat is mentioned in the bracket ) are offered from this Department, University of Calcutta, duly approved by the University authority. 1. Bengali, 2. English, 3. Sanskrit, 4. Mathematics, 5. History, 6. Geography, 7. Economics, 8. Accountancy and Book Keeping, 9. Education, 10. Political Science, 11. Hindi, 12. Urdu, 13. Arabic. Note: Only one seat is allotted to each subject i.e. Bengali, English, History, Education & Mathematics for the candidates of Other University ( Total seat allotted for Fresher / O.U.- 05). Reservation: Reservation of 50% seats for Deputed Teachers and 50% for the fresher’s for admission to B.Ed courses will be followed by University Department only. In the event of these seats remaining unfulfilled, they may be reserved and offered to freshers, with prior approval of the University. 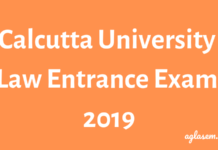 For more details of Calcutta University B.Ed Admission 2018, Candidate can Download Admission Notice.